LUXURY INTERIOR DESIGNERS & RENOVATORS. 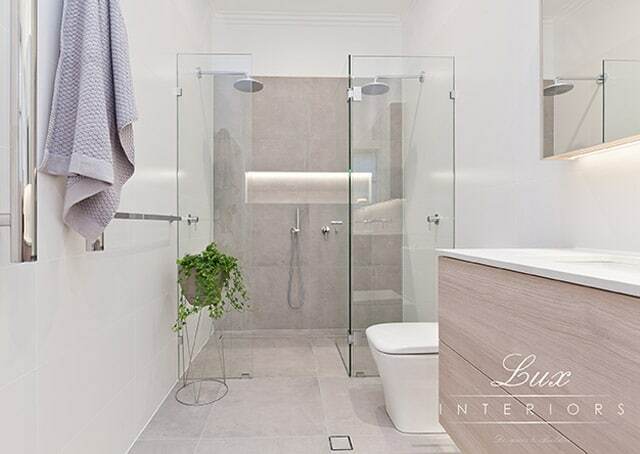 At Lux Interiors, we specialise in designing and building bespoke bathrooms, kitchens and laundries. We combine our depth of knowledge with our passion for our craft to create stunning spaces that make a statement within your home. Our aim is to fully explore the creative potential of your space and collaborate closely with you to realise your vision. 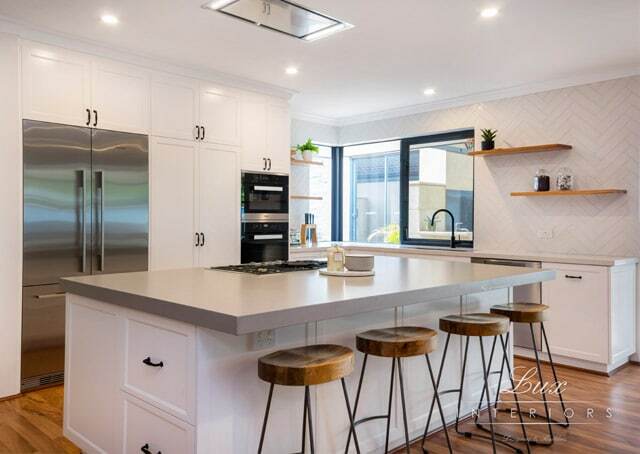 Based in Perth, we have brought to life countless elegant designs throughout homes in the city’s coastal and riverside areas. Discover our project showcase today. We’re committed to ensuring every project we undertake is handled with utmost care from start to finish. We apply a meticulous approach to everything we do and are not satisfied until our work is completed to absolute perfection. We pride ourselves on providing you with an exceptional level of service. Throughout the entire process, we communicate with you in a thorough and transparent manner. We’re fully licensed and qualified builders who are dedicated to conducting ourselves with integrity. As experienced designers and builders, we bring a unique perspective to every project we touch. Where others see obstacles, we see endless possibilities. By applying creative thinking and practical strategies, we are able to achieve whatever outcome you desire. Our designs effortlessly balance simplicity with intricate detail and can elevate a room of function into a breath-taking space. We have a deep appreciation for sophisticated interior design and are driven by the desire to continuously explore the extent of our abilities. Over the years, our dedication to our craft has earned our company a series of prestigious awards. We have received recognition for designing and building beautiful spaces as well as for excellence in customer service. It is our belief that the experience of our clients is equally as important as the high standard of finish we apply to our designs. From our initial design consultation right through to the completion of each project, we always consider the needs of our clients above all else. 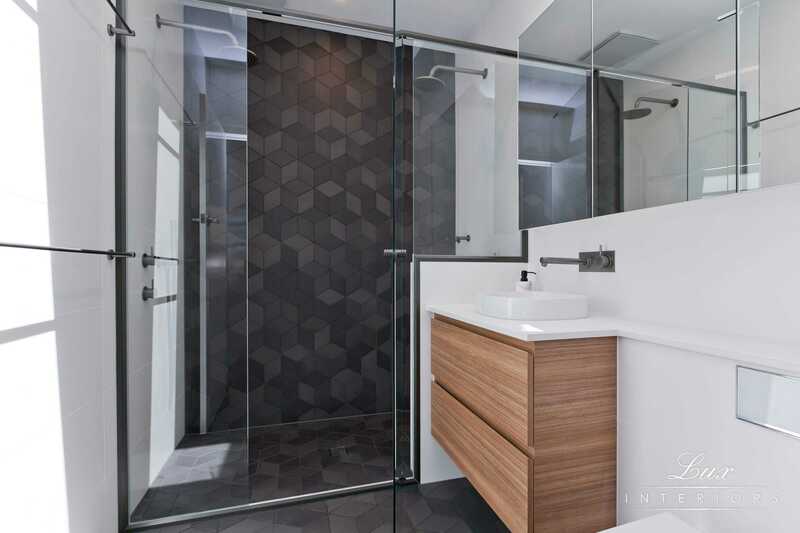 We strive to make the renovation process as seamless and efficient as possible. In four short weeks, we can fully transform up to three whole rooms within a single home. During this time, we work with utmost discretion, respecting the personal space of our clients and making every effort to minimise disruption. 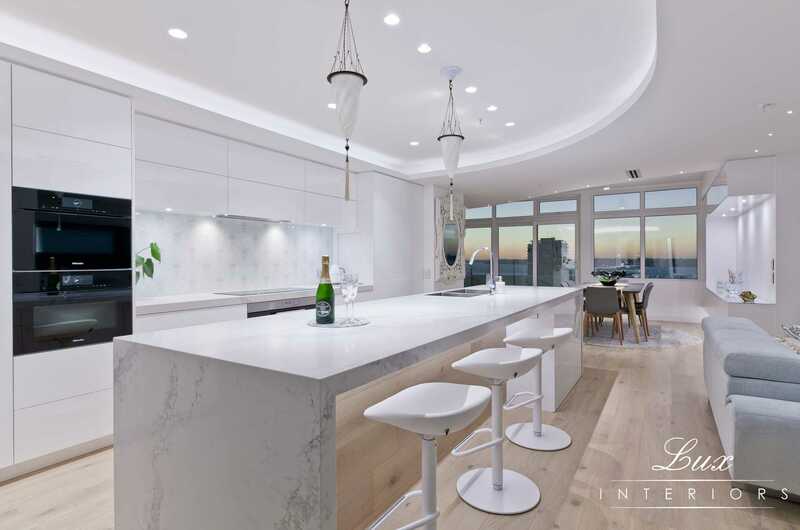 Lux Interiors is passionate about creating premium renovations that are as luxurious as they are unique. Drawing inspiration from our extensive portfolio and see how we have created some of Perth’s most exquisite spaces. If inspiration has come to you and you wish to renovate one or more rooms within your home, Lux Interiors is the company you should choose. Our experience and creativity as both designers and builders is unparalleled. For the opportunity to fulfil your vision, contact Lux Interiors today.